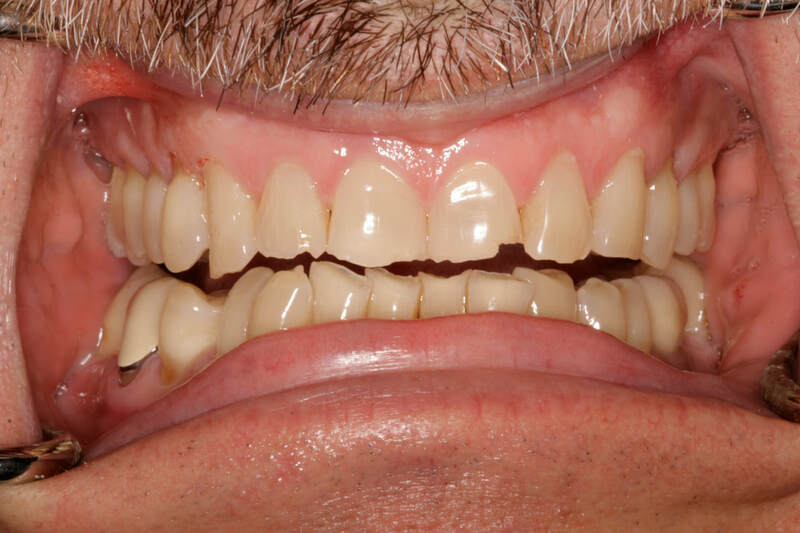 Missing teeth replaced on dental implants offer the most natural appearance and function the most like natural teeth. With dental implants, patients feel more comfortable talking, smiling and eating. 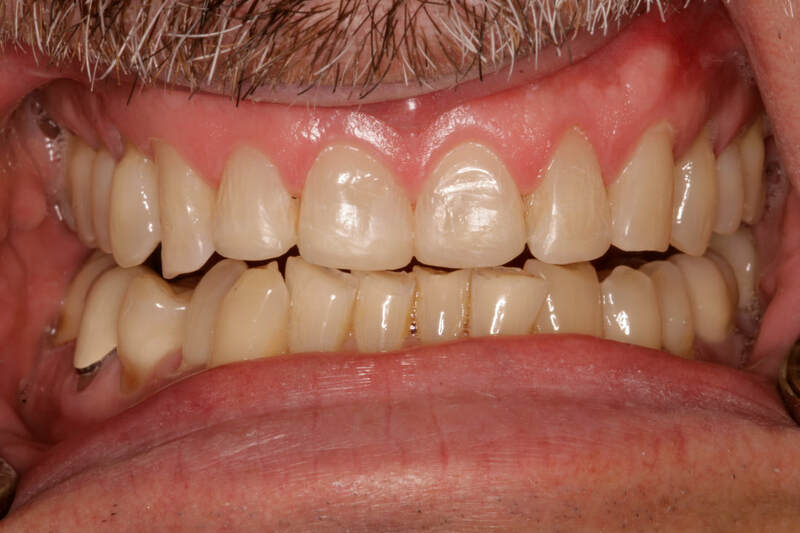 Tooth colored acrylic resin (Bonding) can be used to correct slight misalignments, minor gaps and chipping. 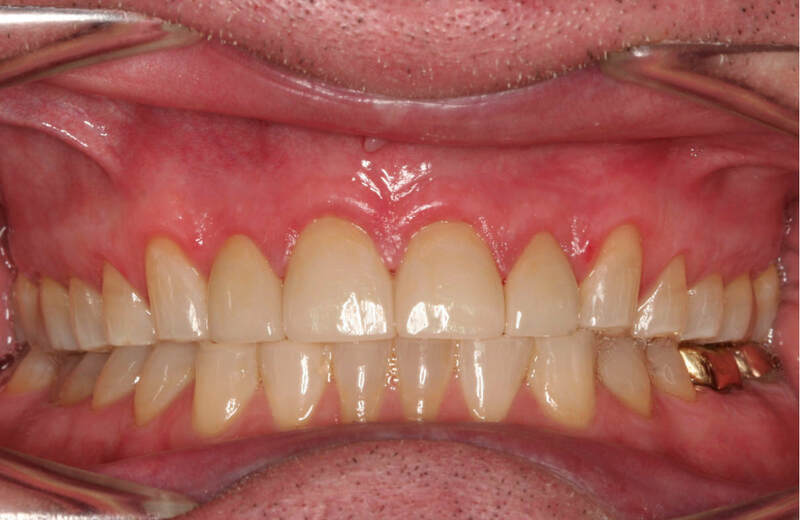 Porcelain veneers were also an option in this case. Porcelain veneers are thin shells that are durable, stain-resistant, and most like natural tooth surface. Porcelain Veneers by Sundance Dental Lab (Scottsdale, AZ). ​Severe breakdown of the teeth can be caused by trauma, advanced wear, rampant decay or advanced gum disease. 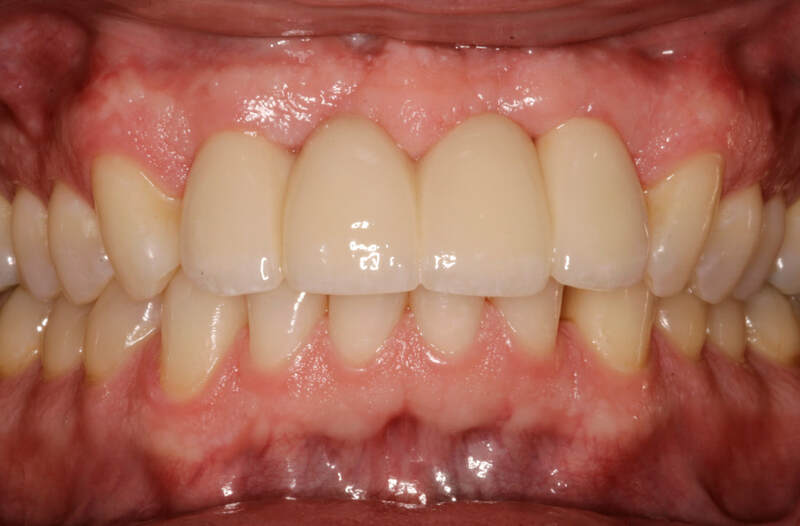 Under these circumstances, it may be necessary for dental specialists to partner with a reconstructive dentist to achieve a superior result for the patient. 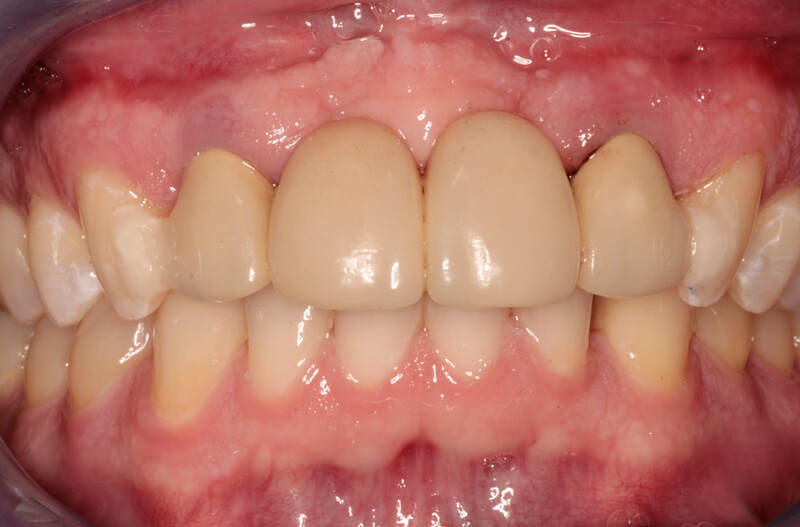 The complex reconstructive case shown below was accomplished through careful planning and treatment by a team of dental professionals.